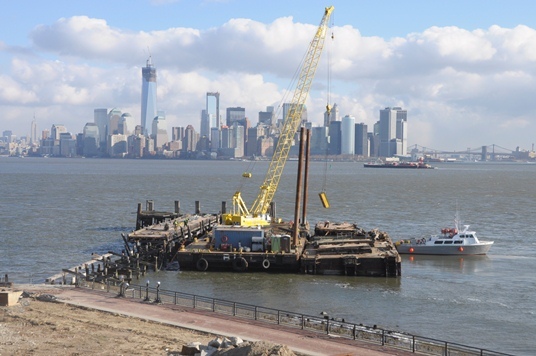 Here’s a quick link to the latest goings on in New York Harbor after Superstorm Sandy. The last few days have been unseasonably warm here in the city. I hope the weather speeds the rehabilitation process at Ellis and Liberty Islands. I won’t be able to visit until it is open to the general public, but I am eager to get out there and see the islands. Maybe I shouldn’t have been, but I was surprised at the extent of the damage. The devastation and cleanup of the national monuments in New York Harbor is a story ripe for some future historian. What they are doing now will be yet another chapter in the centuries-long history of these places.